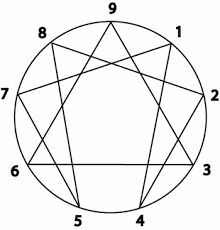 Welcome to part six of our series examining the nine types of the Enneagram Personality System. Today we are discussing type five, the Investigator. To catch up on previous Enneagram blog posts, follow this link And to take a free version of the test and find out your type, go here. Detached, logical, and cool-headed, fives are the most cerebral and internal of all the types. They are driven by the need to observe and analyze the world from the safety of their own mind. For this reason, the five is often associated with the owl, who sees all from his carefully selected vantage point, and yet is incredibly difficult to see. Fives feel safest when they can collect data and draw conclusions without others intruding on their inner world. Can you spot the owl, the animal most closely represented with the five? As you would expect with such rich mental lives, fives are among the most brilliant individuals our world has to offer. One of the fives best qualities is their open-mindedness to new ideas. Their primary flaw is a kind of greed or stinginess, and nowhere is this more prominent than in the way they learn. They thrive on being able to learn all they can get their hands on about a given topic, figuring out the most intricate details of how it works. This sense of conquering difficult concepts gives the five a sense of intellectual superiority and competence that protects him from his worst fear, which in the case of the five is complicated. The five fears emotional engagement with others, not because he is a misanthrope, but because he is deeply afraid that when engaged and challenged, he will feel useless, incompetent and helpless. It feels much safer to simply withdraw and withhold any sense of personal revelation. Sherlock Holmes, one of the most recognizable characters from all of literature, is an excellent example of a five. He is famous for his use of deductive reasoning and cool logic to solve cases. He uses his brilliant analytical mind to observe in a way that few of us are able. 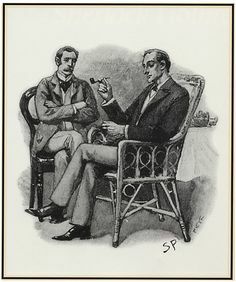 As he is very fond of saying to his friend, Dr. Watson, “You see, but you do not observe. The distinction is clear” (A Scandal in Bohemia). Holmes also is known for being somewhat fastidious and eccentric, and has some hoarding tendencies, a vice of some fives: “He had a horror of destroying documents…. Thus month after month his papers accumulated, until every corner of the room was stacked with bundles of manuscript which were on no account to be burned, and which could not be put away save by their owner” (The Adventure of the Musgrave Ritual). Holmes is known for his laser focus while on the case. When his mind is engaged by a problem to be solved, he forgets to feed himself. Many fives share this meager self care with Holmes, and find satisfaction in getting by with as little as possible. 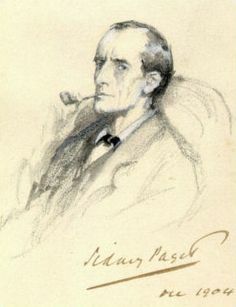 And of course, Holmes displays a kind of disdain for personal relationships other than his trusted colleague, Dr. Watson: “I was never a very sociable fellow, Watson, always rather fond of moping in my rooms and working out my own little methods of thought, so that I never mixed much with the men of my year” (The Adventure of Gloria Scott). The challenge for healthy fives is to begin to use their intellectual gifts not merely to collect information, but to move into wisdom. Wisdom as distinct from knowledge must engage not only thought but also life experience and personal relationships that take great risks of vulnerability. This is no easy task for fives, who long for connection and intimacy almost as strongly as they long for solitude and distance. For a five to be giving of himself in a relationship takes a great deal of courage and risk. To learn more about Adair Swayze, M.A., LAPC, LAMFT and her services, go here. What a lovely series on this great tool for understanding personalities. I really like the strengths based intro and the characters from film and literature to round out the info. Thank you for offering this series!